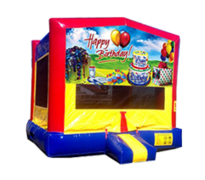 If you want your next birthday bash, summer party, or upcoming celebration to be a success, an inflatable bounce house with a slide is one way to easily guarantee this! 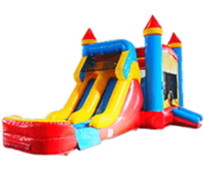 Count on We Bring The Party, LLC to provide you with unmatched party inflatables at competitive rates. 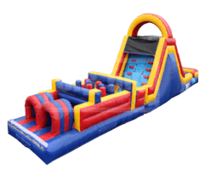 Check out the inventory of inflatable bounce houses and slides and build the perfect party package that is sure to delight guests of all ages! Bounce houses and moonwalks are a blast all on their own, but the party really gets going when you include an attachable water slide and inflatable pool to the mix! Our bounce houses boast impressive, large play areas. 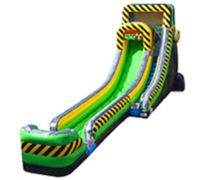 As for the attached slides, they can be used wet or dry, and each slide features an inflatable pool at the bottom, letting riders hit the end of a slide with a fun splash! A bounce house water slide combo truly is the ultimate in party inflatable fun! Our selection of bounce houses with slides and pools is simply unbeatable! Units come in all sizes, ranging from small to downright enormous! We’ve got fun offerings such as castle bounce houses, tropical-themed palm tree bounce houses, inflatables featuring disney princesses, sports-themed moonwalks, and much more! 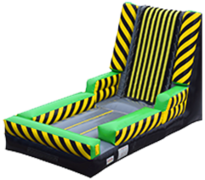 See for yourself and navigate over to our inventory, where you learn more about individual bounce houses with slides. 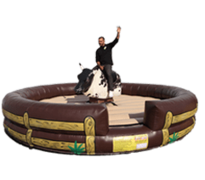 With We Bring The Party, LLC, you are always guaranteed to find the perfect inflatable for your upcoming party or event! Turn your next event into a truly memorable one with an exciting party rental from We Bring The Party, LLC. We provide quality party rentals all across the greater Austin area, including South Austin, Hutto, Round Rock, Georgetown, Cedar Park, and more!